Saturday, May 13, 11:00 am. Fee $10. Kobukusa making workshop taught by Kate Comstock. Students will learn about fabrics used for kobukusa, a small cloth used in Chanoyu. 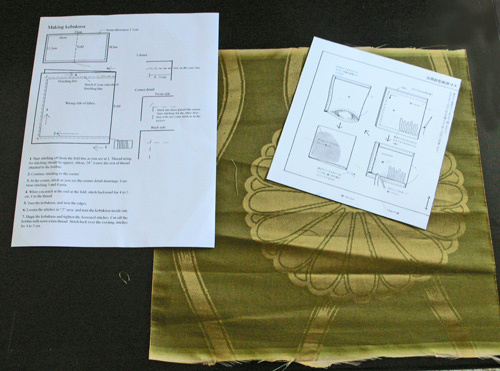 Pattern, written instructions, and fabric testing kit will be included. Techniques for sewing, secrets for perfect corners, and kobukusa magic will be taught. Bring your own silk fabric, or cotton to use as a trial. Some silk fabrics may be available. To reserve your place, sign up at class or contact Margie. Space is limited to 6.